An alliance of over 40 world-leading organisations have joined forces to launch an unprecedented science mission to unlock the secrets of the vast Indian Ocean. 'First Descent' is a pioneering series of missions from 2019 to 2022. 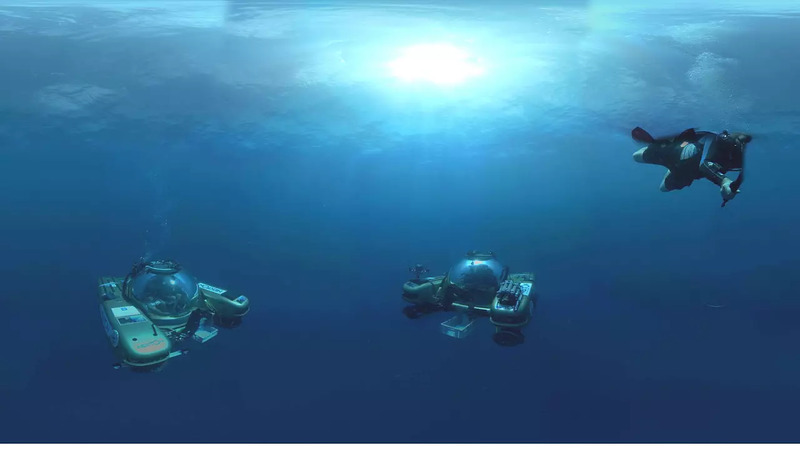 Organiser Nekton Deep Ocean Research Institute starts the first 7-week long expedition in the Seychelles in March 2019. Researchers plan to dive deeper than ever around the islands using high tech equipment to gauge the impact of climate change as well search for new species. Oliver Steeds, Nekton’s Mission Director, Founder and submersible pilot, commented: “The deep ocean is the final frontier. It’s our largest and most critical ecosystem, yet the most important part of our planet is still the least known. “The biological communities we are researching are critical for many reasons from climate stability to food security, from carbon cycling to the air we breathe,” said Dr Lucy Woodall, Nekton's principal scientist, a researcher at the University of Oxford. Dr Woodall added, “We expect to discover dozens of species new to science that could be anything from new corals, algae or sponges to larger more charismatic animals like dog-sharks”. How the Indian Ocean changes in the coming decades will profoundly affect the lives, livelihoods and wellbeing of 2.5 billion people living in the region. The scientists' findings will be presented to the State of the Indian Ocean Summit in November 2021. Click on the video above to learn more about the mission.